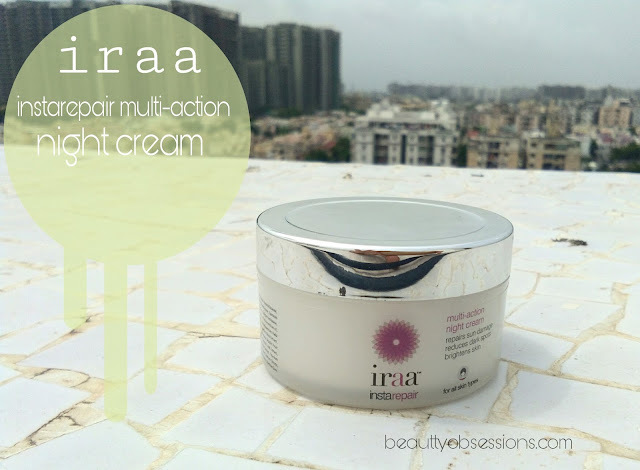 Today's review is on Iraa Instarepair Multi-Action Night Cream . If you are very new to this brand, let me tell you that Iraa is an Indian brand which has a good range of skin and hair care products... All the products are cruelty free and of very good quality..
Last month the brand was very kind enough to send two of their skincare stuffs to me for review purpose and this night cream is one of those... 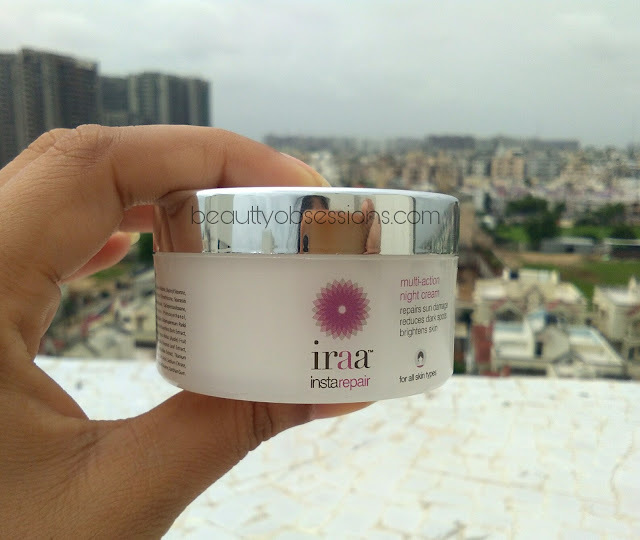 I am using this since two weeks now regularly and find below my opinion on this multi-action night cream by Iraa..
PRICE - Rs 595/- for 50gm. 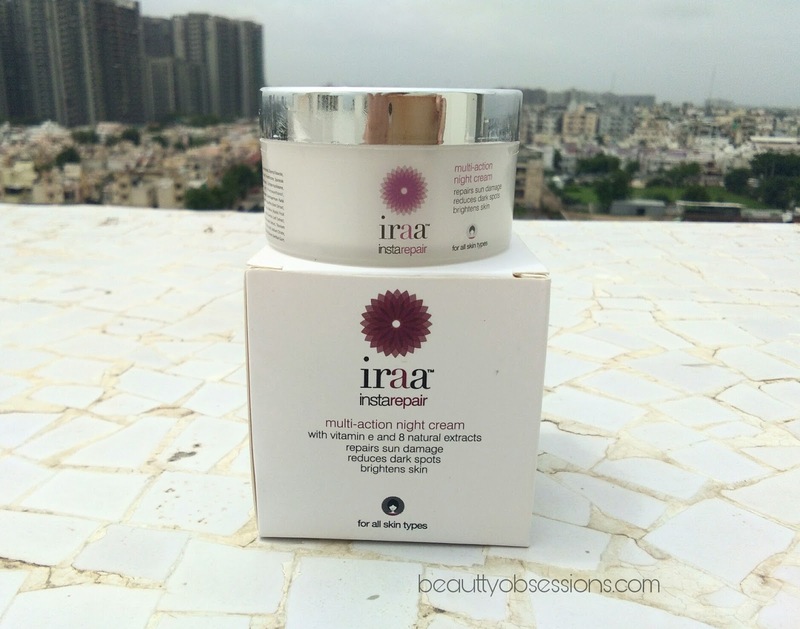 The Iraa instarepair multi-action night cream comes in a tub packaging with a steal finish plastic screw cap... The packaging is simple yet beautiful.. Though tub packaging is unhygienic to use but you can use a spatula to bring the product out... The tub again comes inside a off-white cardboard box which has all necessary information regarding the product.. The packaging is travel-friendly and leak-proof.. 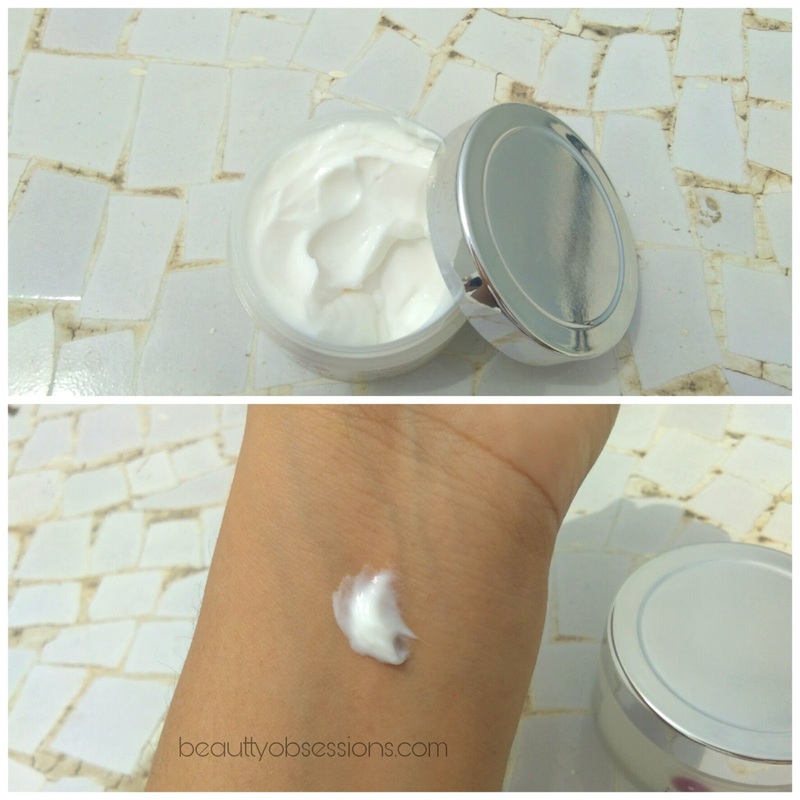 The night cream is white in colour and thick consistency. Initially I thought it will be hard to blend out but I was wrong... 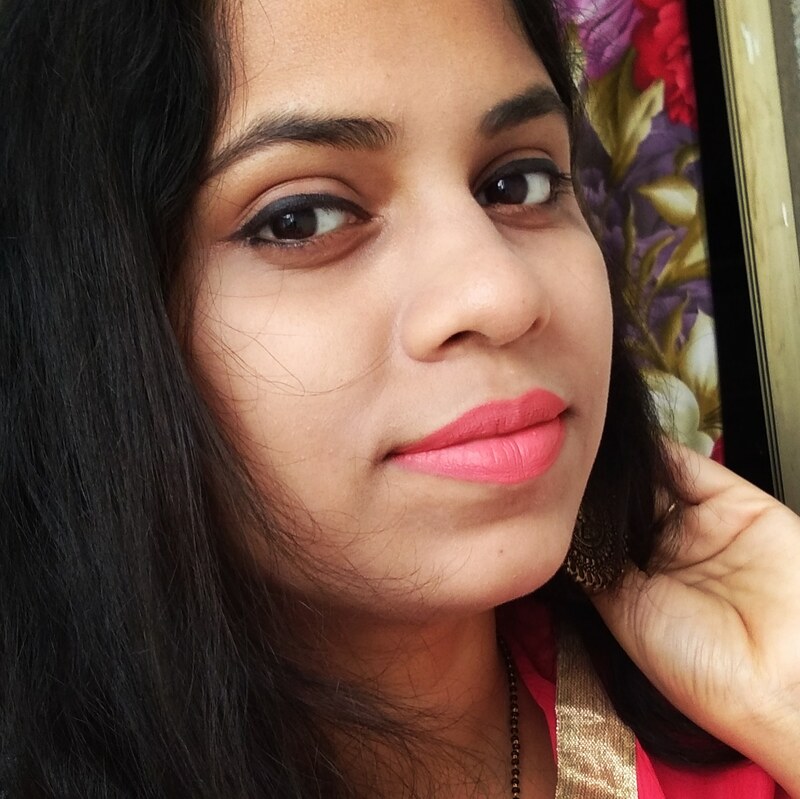 The cream has very soft texture which makes it blendable easily. I need only a pea size quantity for each use and it spreads on skin like butter . It is quickly absorbed by skin and doesn't make oily afterwards like few other night creams do. The cream has very mild fragrance (can't recognize which fragrance) which is very pleasant too. 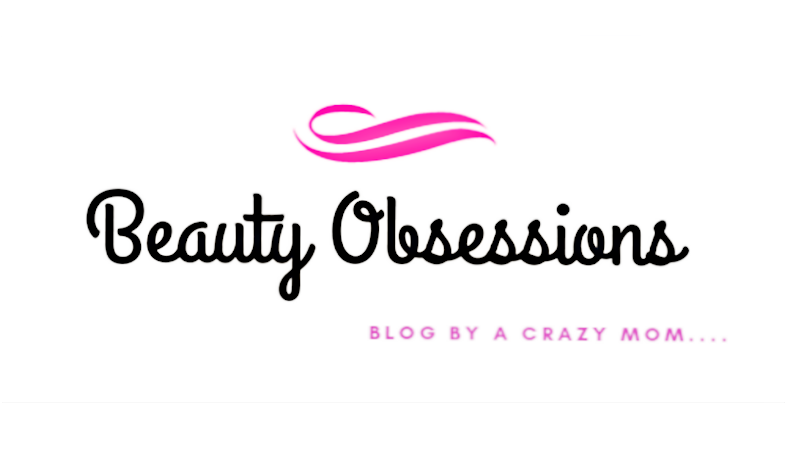 These days I am applying it every night and in the morning I can feel a smooth and soft face.. It has Shea butter which helps to moisturize skin very well.. 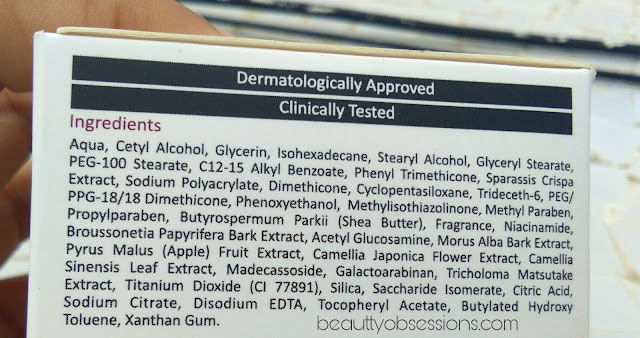 There are few awesome ingredients which make the night cream more effective. It has antioxidant properties which helps to make skin healthier and smoother.. The brand is claiming that it brightens up skin but I can't notice any and I even don't mind that.. When it comes to reduces fine lines and wrinkles, then I can't comment on that as I don't have these issues now (touch wood). Hope you found this review helpful... Do share your thought below in comments..
See you in the next post.. Bye..
Amazing and superb pics of cream.Great review. I feel the cream a little expensive but I think it has antioxidant properties and also makes skin healthier and smoother, so it's ok.
Love the honest detailing. I was thinking of buying this one next. i love the fact that it is quick to absorb and does noot feel oily after use. Thanks for reviewing this. You've mentioned it helps with repairing UV damage - does that include getting rid of tan? The night cream looks luxe and effective. Will definetely check out this one. The product looks amazinust have one for summers. Thanks for sharing. I have been looking to buy a night cream for a long time and this one really seems nice.